In recent years, progress has been made in dental schools to promote equality among staff, particularly in the area of gender. This has been in part due to Athena SWAN, an initiative to recognise good employment practice for women working in science, technology, engineering, mathematics and medicine (STEMM) areas. 1. We want to apply for our first departmental award. Should we apply for bronze or silver? This depends on the department. The self-assessment team should come to a decision based on how much good practice is already in place and on the awards guidance. If a department can show evidence of impact of good practice, there is no reason not to go for silver. Without clear evidence of such impact, however, the department should apply for bronze. 2. Can we request an extension to the deadline? There are no extensions. The deadline for all submissions is 5.00pm on the last working day of April or November, by which time Athena SWAN needs to have received the letter of endorsement, submission document and action plan by email in PDF format. 3. Our department contains academic staff who are not STEMM, for example sociologists, but they are part of our workgroup. Should we include these staff? If they are part of your department’s research or academic staff then they should be included. Non-STEMM staff in STEMM departments should be included. Unless it is a large department with lots of non-STEMM staff, it is not necessary to separate them. For non-STEMM departments or units within a STEMM faculty, if they are included in the data then they should be separated where possible. 4. We have clinical and health professionals in our department, some of whom we employ while others work as part of our partnership with a Trust. Which of these should be included in our staffing data? You may also wish to refer to any qualitative data you have for clinical or allied health professional staff who are not employed by you but who are contracted to carrying out programme activities for you in substantive roles (such as dental education roles). There is no requirement to include these people in your quantitative data. 5. We have recently been awarded a silver – when should we be applying for gold? There is no standard timeframe between receiving a silver award and applying for gold. When applying for gold, a department should be able to show sustained progression and achievement in promoting gender equality and addressing challenges particular to the discipline, as well as ‘beacon activities’: championing and promoting good practice to the wider community. In the Athena SWAN team’s experience, it is likely that a department would need to renew its silver award at least once before achieving a gold award. This is so that a well-established record of activity and achievement can be complemented by data demonstrating continued impact. As well as the extent to which gender equality is embedded throughout the department, the outward-facing work of the department and its role as a champion of gender equality and good practice is also key to the panel’s decision to award a gold. Co-ordinating the submission is time-intensive and requires administrative resources. Having a dedicated project manager is useful in maintaining momentum when compiling a submission. Promote the Athena SWAN action plan, have a web presence (ideally intranet and external website) and make it a standing item on management agendas. One school found that ‘Athena SWAN’ or even ‘gender’ topics as a standing agenda item attracted little attention, but incorporating the issues into a broader ‘equality and diversity’ item made it something everyone could identify with. Have an action plan with measurable actions. These can be categorised and ‘owned’ by a member of the designated Athena SWAN team. It may be useful to consider having a mix of senior and junior staff members assigned to actions. Hold regular meetings with everyone working on the application in order it keep momentum. It is important to have senior management buy-in. Change needs to happen at all levels, but having the dean on board will really give your action plan importance. Highlight the business perspective: hearts and minds are won over more quickly by financial impact. Remind those holding the budget of the link to National Institute of Health Research funding and advocate the goals of Athena SWAN. ‘Buddy up’ with another dental school, ideally one which is a step ahead of you to share good practice. The covering letter sets the tone of the submission and whether the application is ‘just words’ or there is a true commitment to the goals of the Athena SWAN. Link the text to the action plan (refer to numbered points) and keep it simple. Where appropriate, the impact of an action on both males and females could be given, for example on numbers participating in outreach activities. Detail what has been done, discovered and achieved, and what is anticipated to contribute to culture shift over time. When percentages are used, these should also be complemented with real figures to provide context. Don’t make the panellists hunt for the information. Think about your narrative. Tell your ‘story’ and make it relevant to your unit. Who are you, what are the issues, challenges, who are your students and postgraduates? It may be obvious to you but not necessarily to a panellist. Ask someone who has not been involved at all to review your application. Do the charts support the story? Are the aims and objectives substantiated? Panel members will have spent considerable time reading your application before the panel convenes. On the day, they spend around 45 minutes to one hour per submission. Make it easy for the panel to navigate the document. Include page numbers and cross reference between the text and the figures/charts. Think about how the document will look in print in black and white (although you can supply printed copies in colour). Do not refer to colours on a chart unless you are going to print it in colour. Text should be in a legible font size, for instance 12 point. Submissions should be clear and concise, avoiding overly complex data analysis that does not contribute to the narrative. Similarly, use graphs and tables to contribute to the narrative. Again, think about the story you are trying to tell. Detail who you are focusing on, such as only staff employed by the university, or not undergraduates as you do not have any. The panels like to see staff opinion obtained. Surveys or focus groups are a useful way of directly gauging staff opinion on the culture, promotion structures and so on. This may require funding to be carried out effectively. Applying first for a bronze award can provide a benchmark to measure progress towards a silver award. Applying straight for silver is possible but you will need to demonstrate progress against your own data. Help panellists interpret the data. For example, the definitions of academic grades are not the same everywhere, so explain this. 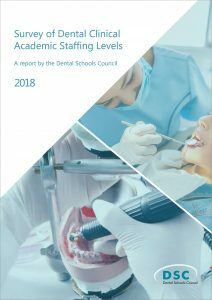 If a bronze award is achieved, dental schools do not have to wait for the three-year renewal before applying for a silver award, as long as progress since the awarding of the bronze can be demonstrated.